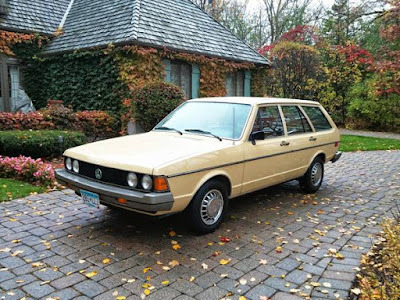 1978 Volkswagen Dasher - I saw this car this morning on a pretty cool Facebook page called Obscure Cars For Sale. I realized that I had written about it a few years ago. I actually wrote about it twice; once quickly in 2012 (find post here), and more in depth in 2013 (find post here). This is quite possibly the nicest original Dasher in the United States. It is also quite possibly the most expensive. 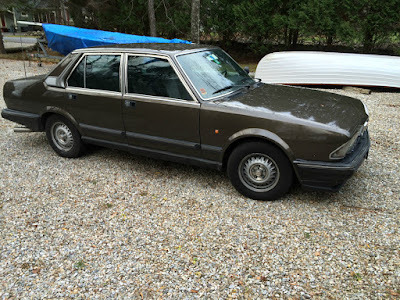 The Dasher was a good, solid family car in its day. Most have long since gone the crusher. This one has incredibly low miles. But, spectacular condition, low miles and rarity don't necessarily make a car worth a lot of money. The seller's asking price of $14,900.00 has probably kept most potential buyers away. This is a car for a diehard VWhead, or someone who wants to relive the joys of one of their earlier cars. If you're one of those people, you can find the Craigslist ad here. 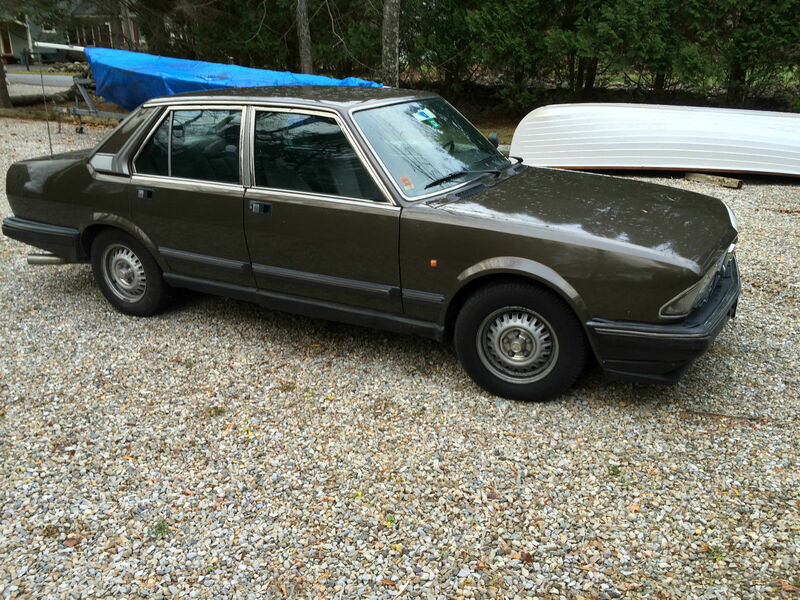 The Alfa 6 never officially made its way to North America. There may be a few privately imported ones here, but I suspect this is the one and only diesel. If this car had the V6 in it, I'd be drooling over it. The Alfa V6 is an amazing engine. The diesel might be a good engine, too (It's made by VM Motori S.p.A, a well respected builder of diesel engines) but as I wrote in the original post, "The diesel engine makes 107 HP. The gasoline powered V6 makes 156. The diesel sounds like a diesel. The V6 sounds like a symphony." For me, the V6 is the only way to go. Just as the Dasher above would be a car only a diehard VW fan would buy, this is a car that will appeal only to a diehard Alfa fan. If that's you, you can find the eBay ad here. Whoa! I didn't realize you were posting again! I just happened to come across one of your old posts when looking through some La Forza stuff and decided to see if you'd posted anything.